Nicole Dittmer, a recent graduate of TCNJ’s M.A. 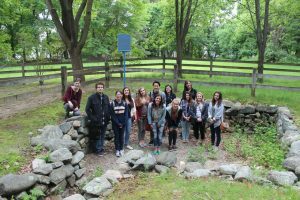 program, has been accepted to present her work on the Salem Witch Trials at the Society of Early Americanists Conference in Tulsa, Oklahoma in early March 2017. 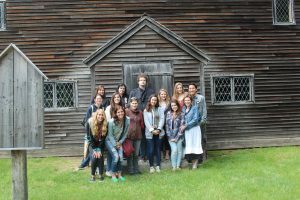 Dittmer’s essay, entitled “’Nor [Ever] Was in This Place Before’: A Modern Day Case Study of Bridget Bishop, Salem’s Absentee Witch” was written after she participated in Dr. Michele Tarter’s Maymester course in Salem, Massachusetts in May 2016. 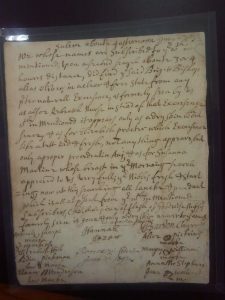 This popular and innovative course, which will be offered again in May 2017, examines primary sources of documents related to early American witchcraft, including the 1692 manuscripts Dittmer examined firsthand. Dittmer will discuss her findings on a panel entitled “’Some Conjectures’ and Some Correctives: Public Witches and Private Agendas” as part of the conference’s 10th biannual convention.